It should come as no surprise, that Rome is absolutely jam-packed with spectacular sights, delicious food, unparalleled bars and more. And while visiting one of the world’s most fabled metropolises might sound like an experience that comes with a hefty price tag, you don’t have to break the bank in the eternal city if you steer clear of the swarms of tourists taking selfies by Rome most famous attractions. 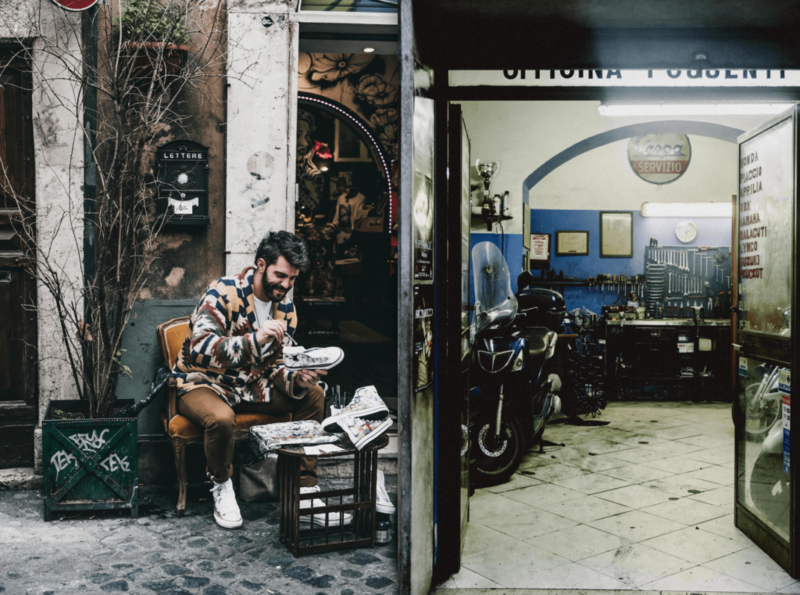 Instead, here’s how to go off the beaten path to explore the chicer side of Rome. Trastevere. All photos by the author. quirky street art, charming shopfronts, heavenly bakeries and boutique restaurants to boot. San Lorenzo is another of the city’s hippest areas in large parts due to its student population. The neighbourhood is full of thrift shops, street art and unique nightlife venues that’ll keep the good times rolling until the wee hours of the morning. Drop by for a great outing in charming surroundings. Escape the flocks of tourists crowding the city centre by retreating to one of Rome’s many stunning parks. 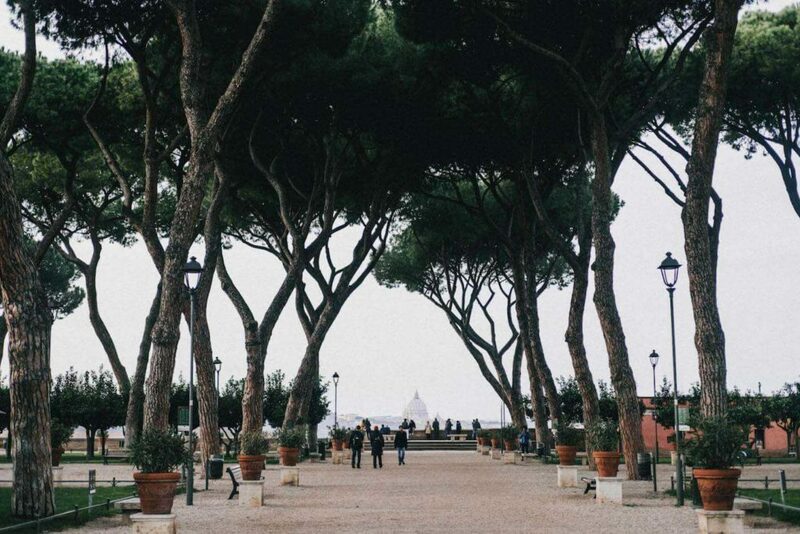 The Villa Borghese gardens are the obvious choice for visitors and locals alike – and with good reason. The largest public park in Rome, these lush gardens lend themselves beautifully to whiling away on a sunny afternoon while munching on Roman snacks, marvelling at the park’s historic buildings and being serenaded by Italian buskers. 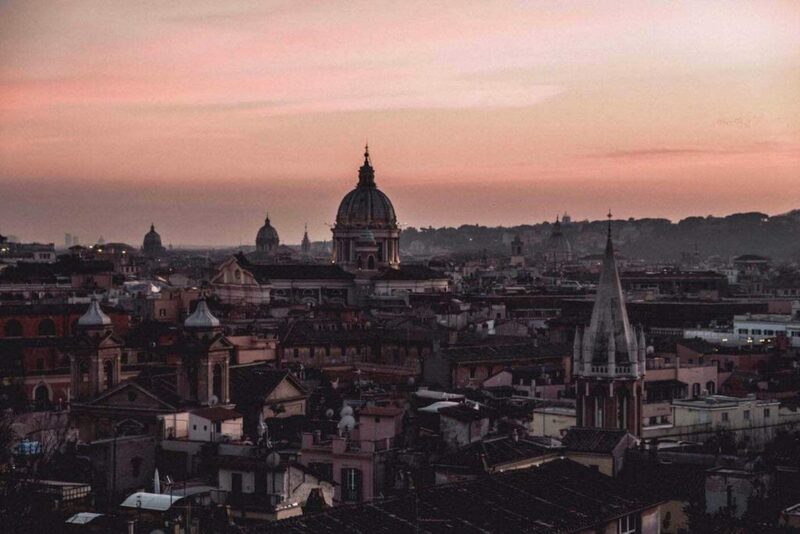 Stroll over to the Terrazza del Pincio at sunset for a stunning panoramic view of the city. I also highly recommend you pay a visit to the ​‘Giardino Degli Aranci’ located in the idyllic Ripa neighbourhood. 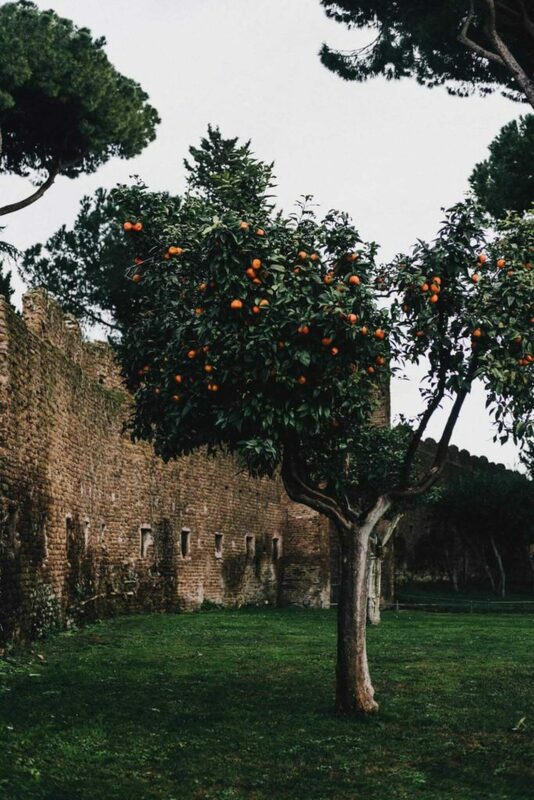 This romantic garden named after its many fragrant orange trees is located in a secluded square right next to the breathtaking Basilica di Santa Sabina all’Aventino, which also offers a magnificent view of the city’s skyline. 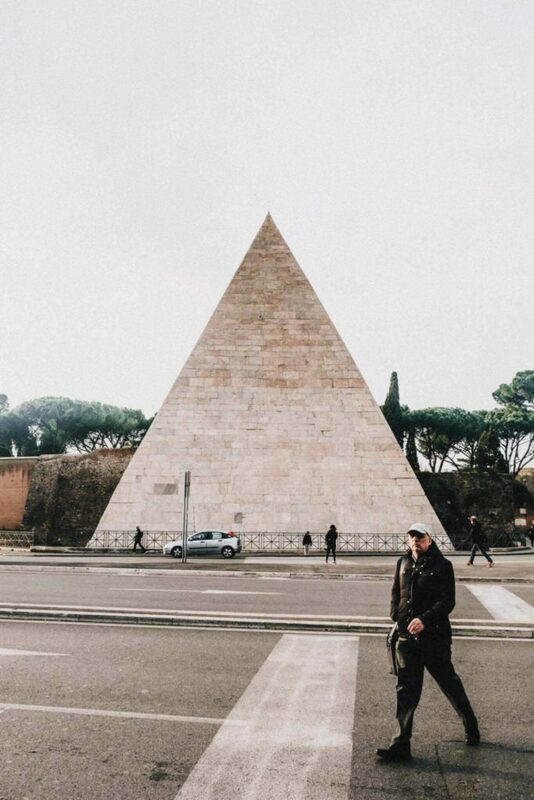 Everyone knows the Trevi Fountain, the Colosseum and the Pantheon, but who’s ever heard of the pyramid in the heart of Rome? The 36-metre high Pyramid of Cestius is located only two metro stops away from the Colosseum and a great sight to add to your list if you’re already planning on visiting that part of town. Tour the grounds for a small entry fee or make do with a selfie in front of the façade, which will surely confuse your friends and family. A ten-minute stroll from the pyramid, you’ll find ​‘Il Buco di Roma’ – Rome’s most famous keyhole. 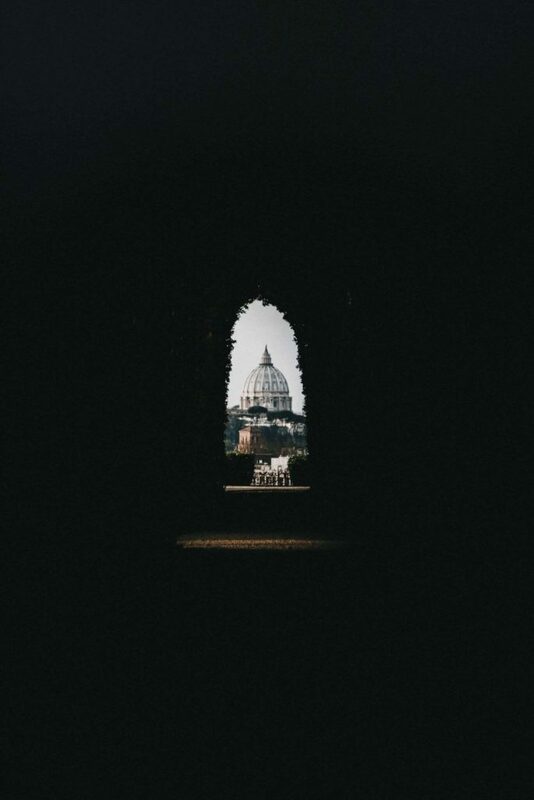 On busy days, you’ll find short queues forming, with people eager to peep through the large keyhole which magically frames St. Peter’s Basilica in the distance. Yet another short walk up along the Tiber, you’ll find a true hidden gem: ​‘Borromoni’s Perspective’. 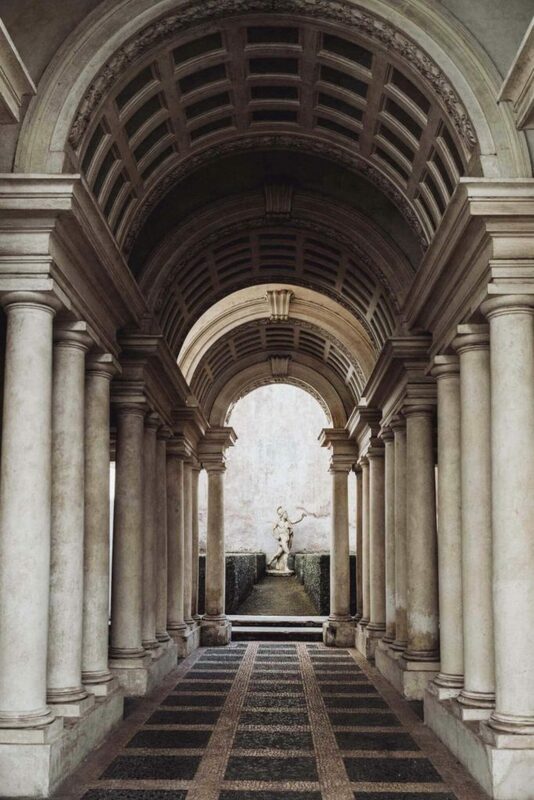 Built in 1653 by famous architect Francesco Borromoni, this colonnade is a highlight of ​‘Baroque Illusionism’, giving the onlooker a deceptive sense of great depth, despite the corridor being only nine meters long and the statue at the far end only 90 cm tall. The effect was interestingly created with a gradually rising floor, descending ceiling and converging walls. Set in a serene and peaceful orange garden, and with access to a historical art gallery upstairs, this architectural illusion is well worth a visit. Why not drop by the Campo de’ Fiori while you’re there? 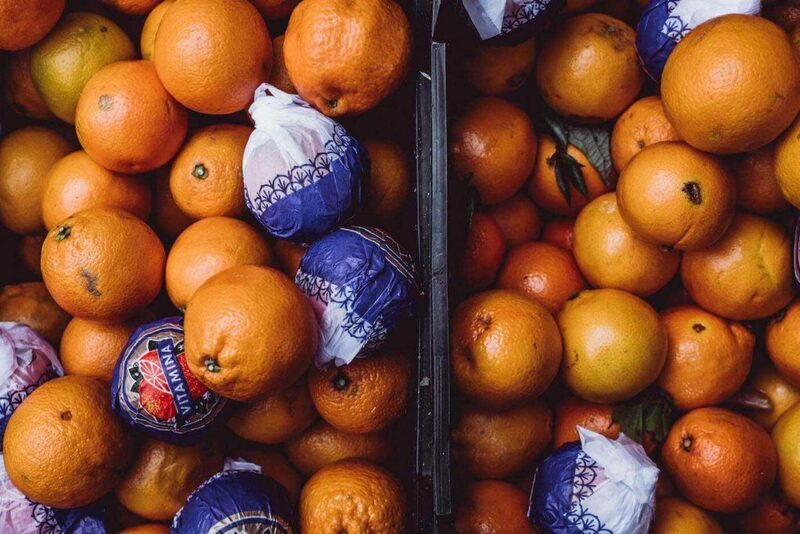 While not exactly a hidden gem, this square hosts a lively market most mornings where locals come to grab their fruits, vegetables and other amazing fresh ingredients. While there’s definitely tons of great pizza and pasta to be had in Rome, I highly recommend you do a bit of research in advance to steer clear of the equally plentiful bland food experiences you’ll stumble upon near the most popular sights. 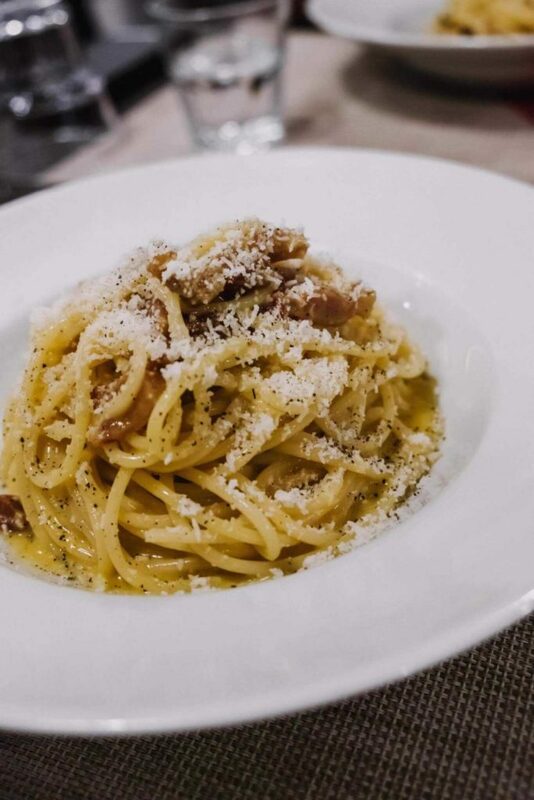 For the most flavoursome carbonara of your life, check out I Vascellari in Trastevere. They also serve the tantalising Roman speciality of deep-fried courgette flowers stuffed with mozzarella and anchovies. 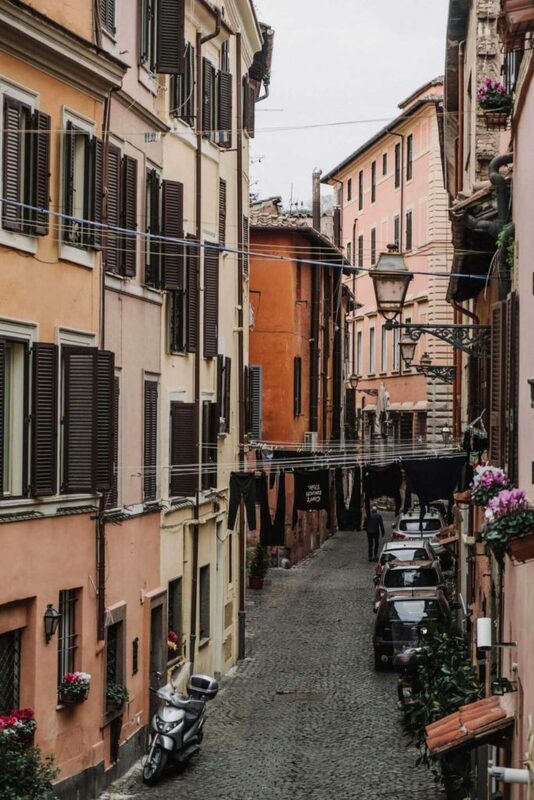 For a deeper exploration of typical Roman dishes, look no further than Cul De Sac located in the more touristy area near Piazza Navona. Cul De Sac’s surprising dishes are distinctively old school and include treats like tongue in mustard sauce and Roman-style tripe. Luckily for those in search of less eclectic meals, the restaurant also serves up a top-notch selection of homemade pasta dishes, meats and cheeses. Although there are plenty of restaurants available within an affordable price range, you can get definitely get by on a smaller budget by hitting up the many Pasticcerias (pastry shops) and Paneficios (bakeries). Grab a plain or custard-filled lieviti pastry for breakfast and couple it with an espresso or a cappuccino to start the day off like a local. 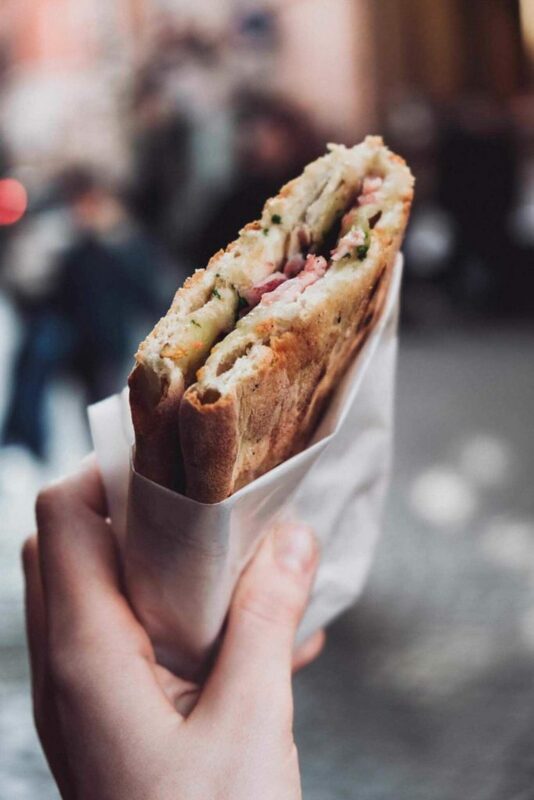 As for lunch, go for a focaccia sandwich with ham, salami and cheese or a Roman-style pizza, which tend to be a thinner, crispier version of the pizzas you’re used to. Pizza al taglio is also quite common: these rectangular slices of pizza are served in bakeries all over town and are perfect to be eaten on the go. 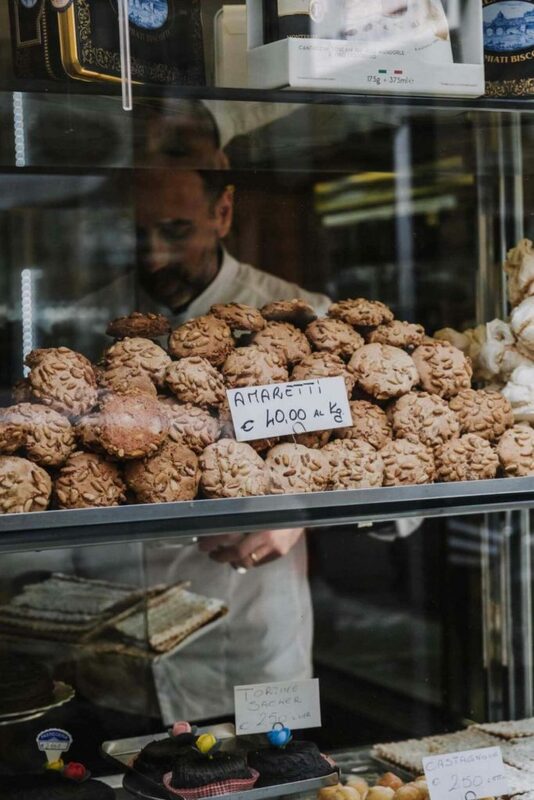 For a taste of the famous Italian coffee-culture, simply chug an espresso at any of the many espresso bars you’ll pass by as you walk through the city. 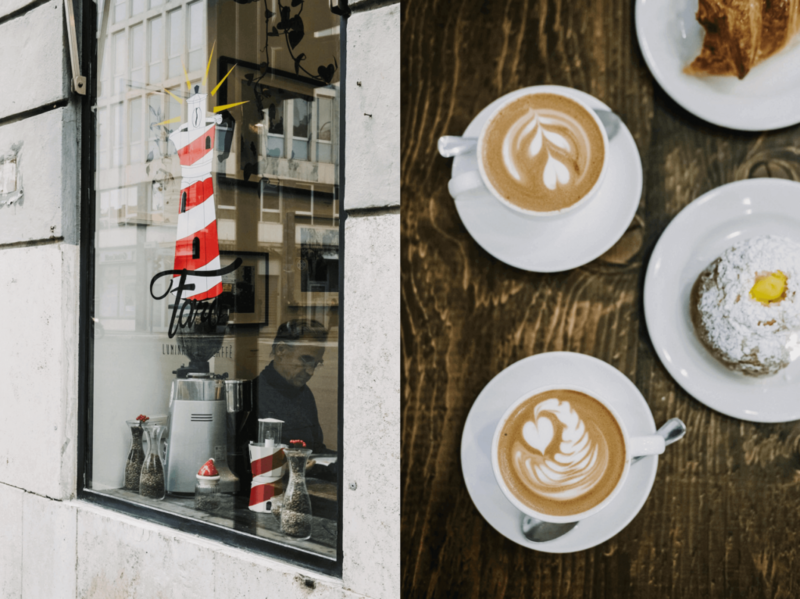 Don’t miss out on the speciality coffee seen either – make sure to visit café Faro where perfect cups are doled out in a quirky and utterly charming space. 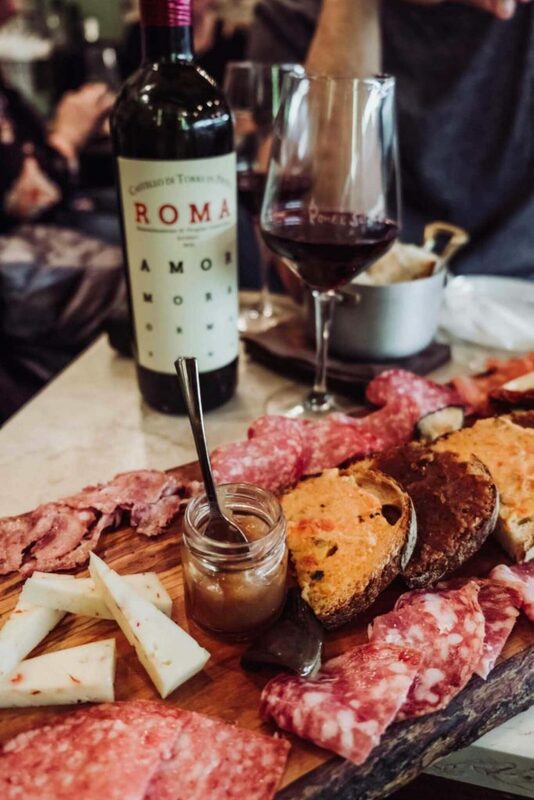 In Rome it’s quite common to grab antipasti and a drink before dinner, often consisting of cold cut meats and cheeses alongside an alcoholic beverage such as wine, prosecco or spritz. On my tour of Rome, I had some divine antipasti at a little place called ​‘Pane e Salame’ (literally ​‘Bread and Salami’). I simply devoured the entire mouth-watering spread of regional meats and cheeses quicker than you can say ​‘Buon Appetito’. The wine here was also some of the best priced I found in the city, with a great bottle of red or white, even Organic, ringing in at about €10. 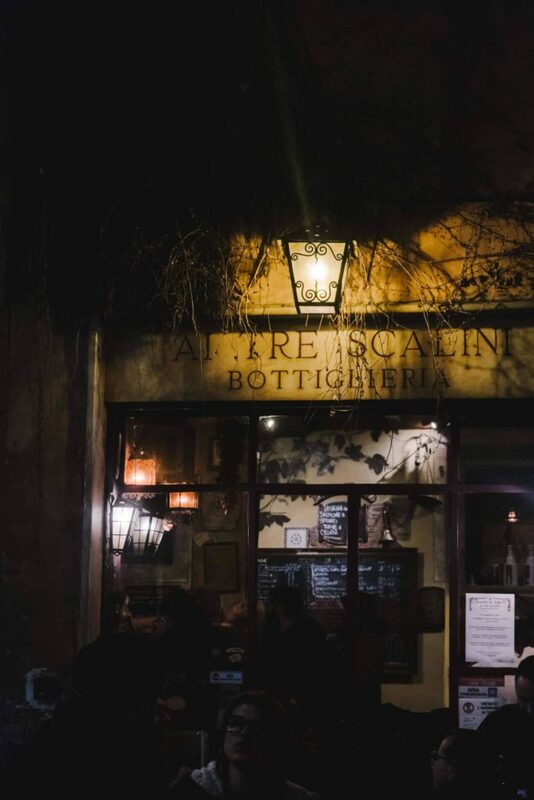 If you’re keen on dropping by a real Italian wine-bar, I can’t recommend ​‘Ai Tre Scalini’ highly enough: located in the dynamic Monti neighbourhood, this wine-bare features friendly service, lively locals, quirky decor, an amazing selection of wines and a buzzing atmosphere that’ll make you want to stay here the whole night. 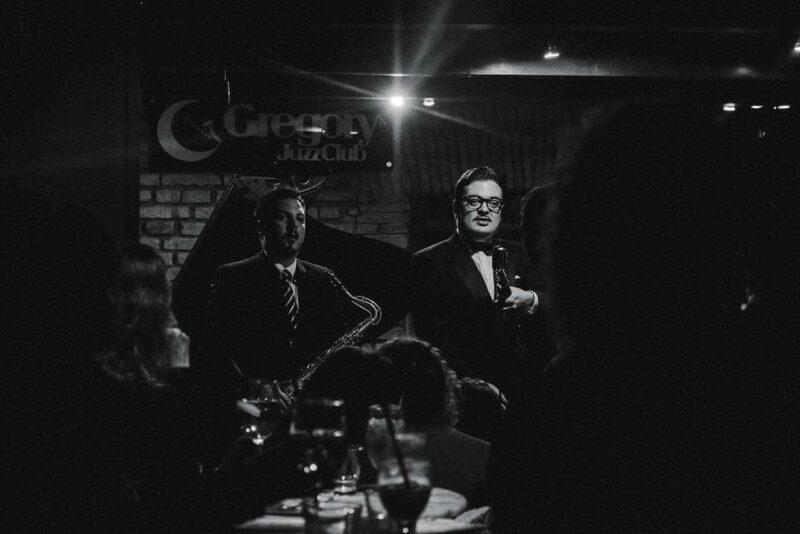 If cocktails and live music are more your thing, you should make sure to check out Gregory’s Jazz Club. Hidden away on a steep road near the Spanish Steps, this small venue is home to incredible live jazz music every night as well as an alluring cocktail menu. Remember to book in advance to ensure a seat on busy nights, when the captivating musicians give it their all.